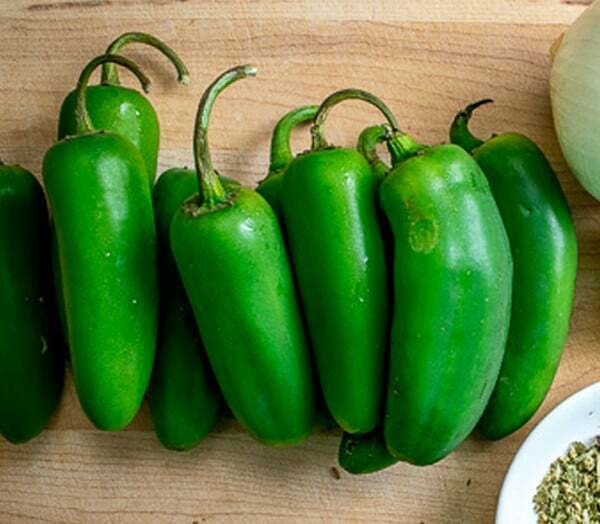 Jalapeno peppers are the ideal ambassador for Mexican cuisine. 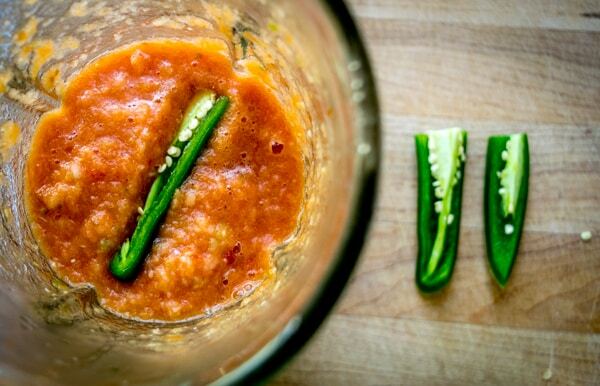 Master the jalapeno and you can instantly add some otherworldly salsas to your kitchen repertoire. 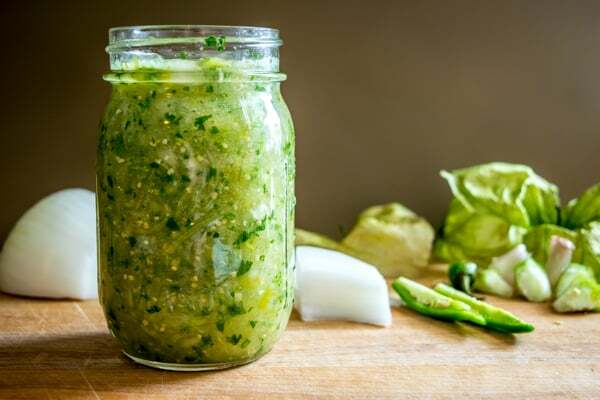 Having these salsas in your arsenal will open a wide range of Mexican dishes just waiting around for you to make (eat) them! First things first, have you bought jalapenos before? If not, you’ll find them in the produce section near the bell peppers. Buy the ones that are green and taut. If they are wrinkled or mushy they are a bit past their prime. Capsaicin is the active component in chili peppers that gives them their distinctive heat and spiciness. It’s the “ingredient” that is most responsible for the unique flavor of Mexican cuisine. Learning how to adjust capsaicin levels to your liking is one of the most important skills in the Mexican kitchen. 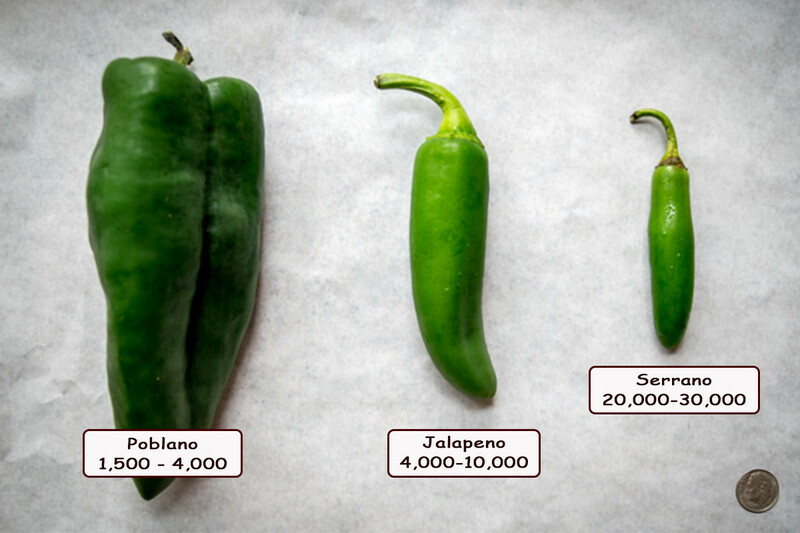 You’ll find the highest levels of capsaicin in the seeds and pith of the jalapenos. 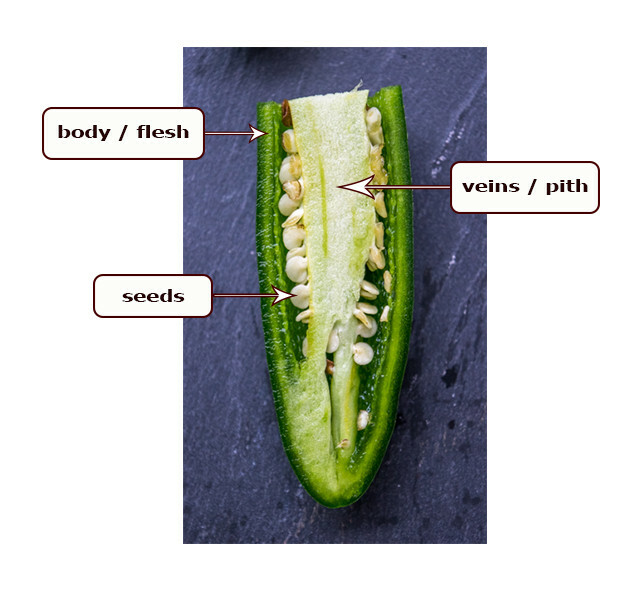 Yes, the flesh of the pepper will have some capsaicin, but you’ll get a higher concentration in the seeds and pith. That’s why you’ll frequently hear people recommend scraping out the seeds if you want a milder version of a recipe. Conversely, that’s why authentic Mexican dishes leave the seeds in because that’s where all the good stuff is! You probably noticed that the Scoville units underneath the peppers are listed in a range instead of a fixed number. That’s because the heat level of chilis can vary based on age and growing conditions. It takes some experience but this simple tongue test can instantly tell you whether you’re on the fiery or mild end of the spectrum for that particular chili pepper. Note: I wouldn’t recommend doing this tongue test with the hotter peppers, i.e. habaneros, but for the jalapenos I do it every time I cut one open. Getting the heat level to your liking is one of the keys to real deal Mexican cuisine. I call this Capsaicin Control. Basically, everybody’s taste buds are different; pleasantly mild to one person can taste nuclear to the next. By manipulating how much capsaicin makes its way into the final dish you’ll be able to find the appropriate heat level for your taste buds. Add these to a blender along with the 1/2 onion, single garlic clove, and only 1/4 of the jalapeno. Pulse blend and take a taste. How’s the heat level? 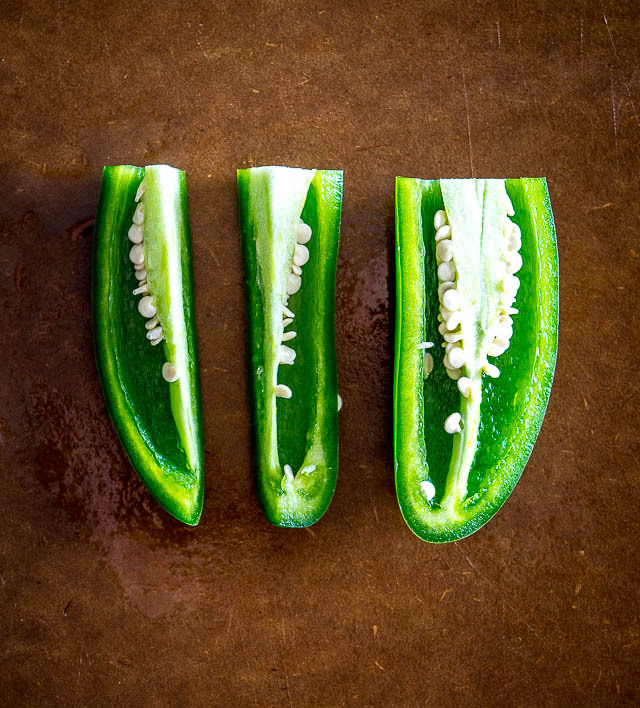 Most people will say not enough, if so then add another 1/4 jalapeno. Give it another taste and keep adding jalapeno until it tastes right to you. Finding the right heat level for this salsa will give you insight into how much heat you like in your Mexican dishes. Good to know right? Everyone’s taste buds are different and most salsa recipes overlook this. Eventually you’ll get good at knowing your preferred capsaicin level and you can streamline this process in the future. For example, I usually start by adding ½ of the jalapeno, tasting, and then adding more if necessary. 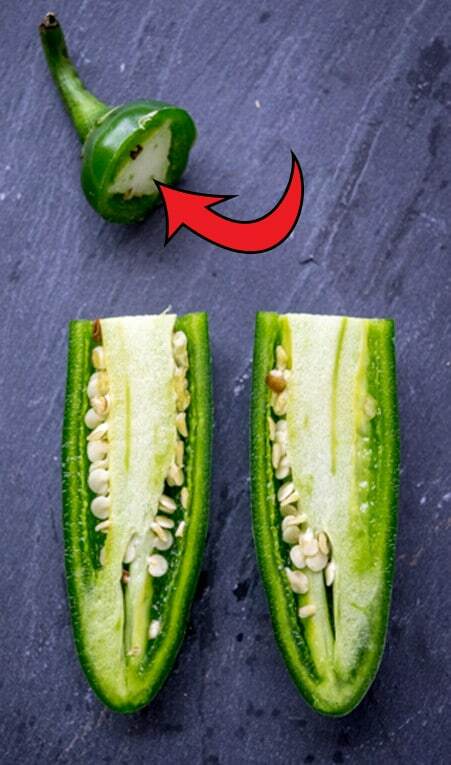 You can also use jalapeno peppers in place of serrano peppers if you ever need to. 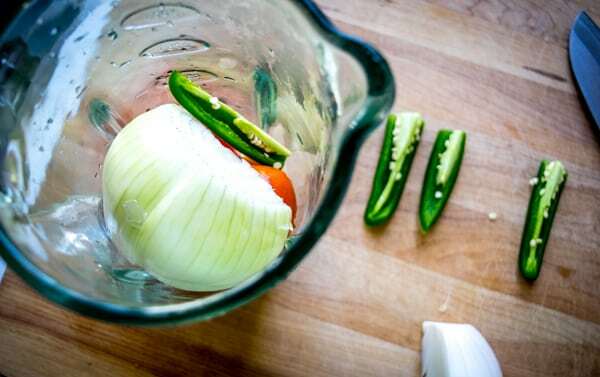 For example, we typically use serranos in our Salsa Verde recipe but you can use jalapenos and get an equally good result. Serranos are sharper and grassier but they are similar enough that most people consider them interchangeable. Okay…one last tip regarding storage. I have the best success storing jalapenos in a sealed ziploc inside the fridge. I find they will last for weeks at a time this way. 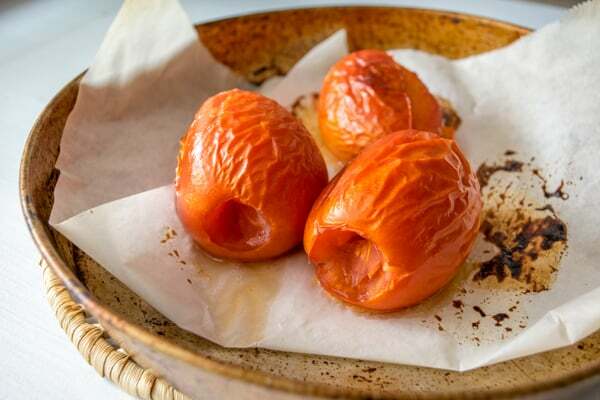 If you just plop them in the produce drawer in your fridge without sealing them most likely they’ll get all wrinkly in a few days time. I’ll put links to some killer salsa recipes below. Feel free to get in touch if you have any questions about using jalapenos. Good luck!